The Ministry of Education and Training has authority over all educational institutions and manages the curriculum, assessment procedures and recruitment of teachers. There are seven years of compulsory education starting at the age of six. Primary school comprises seven years and secondary five, with cycles of three and two years. Some 67 per cent of pupils complete primary school (2010). The school year starts in January. 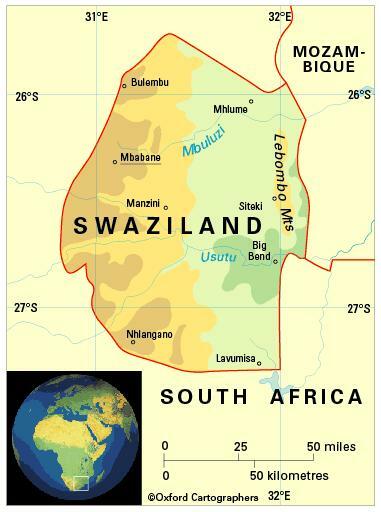 The University of Swaziland offers degrees in agriculture, commerce, education, health sciences, humanities, sciences and social sciences, and incorporates the Institute of Distance Learning. Swaziland College of Technology provides diploma and certificate courses in building, business, education and engineering. The Vocational and Commercial Training Institute offers business and technical training. The female-male ratio for gross enrolment in tertiary education is 1.04:1 (2011). Literacy among people aged 15-24 is 94 per cent (2010). There is a national library and a mobile library service to remoter parts of the country.